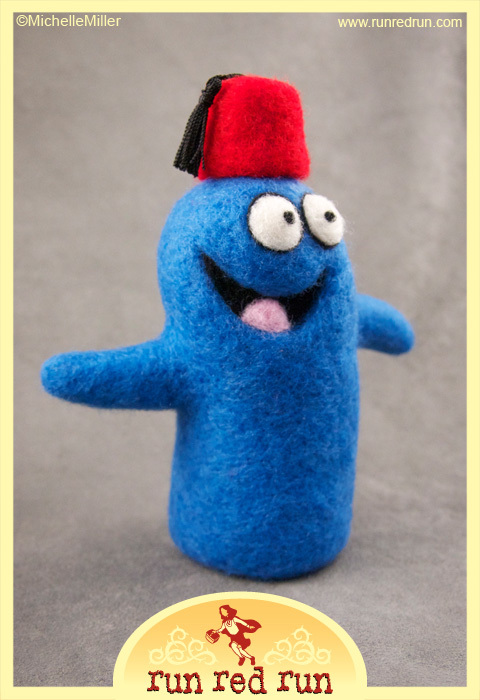 Maybe you remember my felted interpretation of Bloo, from Cartoon Network’s long running show Foster’s Home for Imaginary Friends. I made him as a fun side project, and he sold. Well, I took a commission for a second version of Bloo! 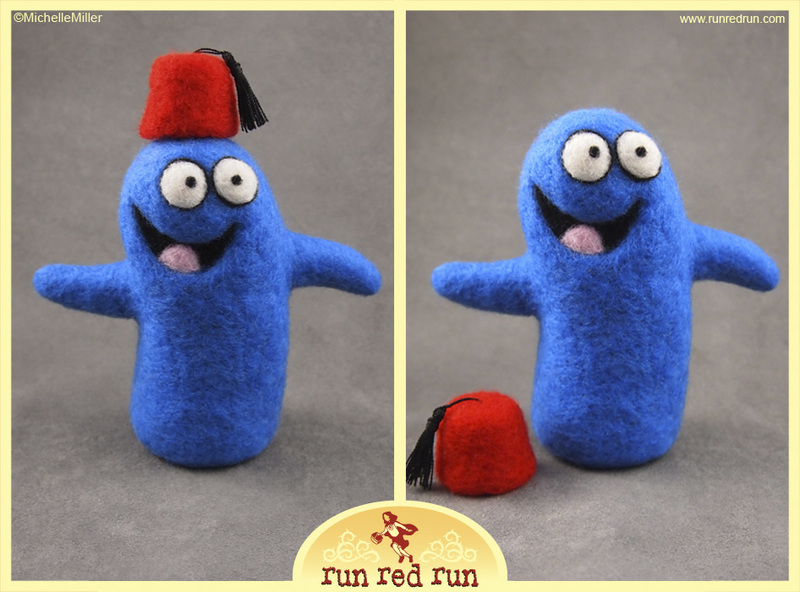 He’s very similar to his older brother with the added accessory of a stylish fez. 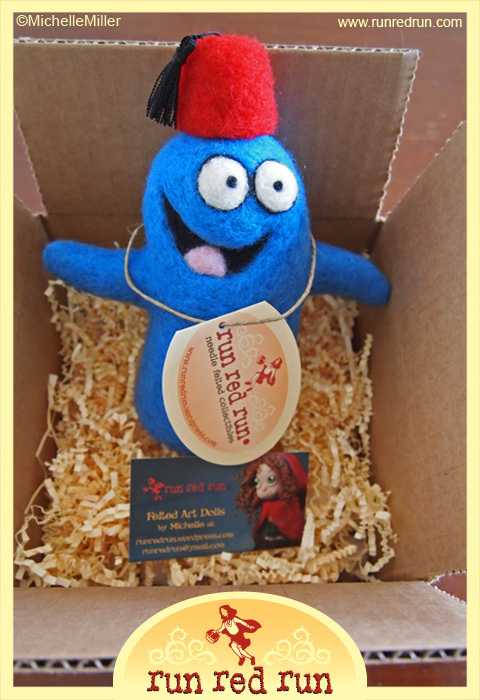 I gave him a final touch-up today then shipped him off on the first leg of his voyage to his new home — in Australia! That’s right, I’ve gone global! That’s the power of the internet for you. So, yeah, I take commissions. Need a gift that’s totally original? Want a felted sculpture of your favorite cartoon character? Have a unique idea that you’d like to see brought to life? Well, contact me and we’ll see what we can do about that!